As president of the South African Chamber of Commerce – America, Euvin Naidoo works with leading corporations and governments to strengthen trans-Atlantic economic ties. 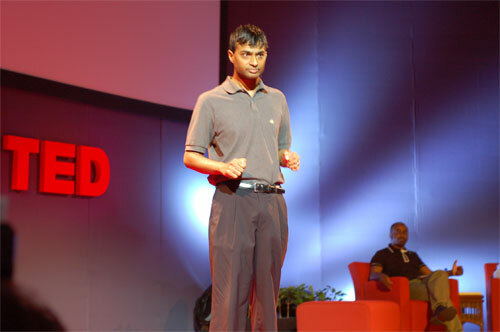 In his Ted Talk, Euvin Naidoo focused on “Africa: the next chapter”. To separate the rhetoric from the reality and the fact from the fiction; to go to the actual data and statistic that exist about the actual things happening in Africa that make this continent a realistic investment opportunity and option for all around the world. He stated that investing in Africa is a broad term. Africa is not a country; it is made up of 53 different countries. And every country in Africa has a unique value proposition. You can win money here, and you can also lose money here. Starting the talk about investment opportunity, as a banker, Euvin Naidoo mentioned some macro-factors. The first sign is that Inflation is coming down across Africa, while reaching double-digit figures in many other countries; he called it “Z.E.N. cluster”. Zambia from 2004 to 2006 has moved from 18 percent in inflation to 9 percent; Egypt from 16 percent to about 8.4 percent; Nigeria from 16 percent to 8 percent – all in single digits. More fascinating, you have other countries, like South Africa, Mauritius, Namibia, are also in single digits. And this is just part of the story. Then he gave specific examples from some countries to illustrate his research. Instead of focusing on South Africa’s gold, minerals, and its first infrastructure, Euvin Naidoo mentioned other important aspects. South Africa was recently voted as the top destination for the top 1000 UK companies for offshore call-centers. They have the same language, timeline, et cetera. Other big names that had reached Africa were Bain Capital and KKR, the big companies of private equity. Bain Capital’s acquisition of Edcon, a large retailer, is testimony to the confidence these famous names are beginning to place in the economy in what is going to be a long-term play. Nigeria is clearly a hot spot. The new report, issued by Goldman Sachs, highlighted that, by 2020, Nigeria is going to be among the top 10 economies in the world. And also, without any sovereign backing, Nigerian companies are raising capital offshore. In the oil industry, Africa provides 18 percent of the U.S.’s oil supply, while the Middle East offers just 16 percent. So, Africa can be an important strategic partner to America. Finally, Naidoo concluded with Africa’s important position in the world economy because of its investment potential.